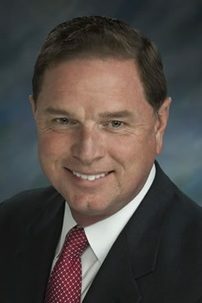 Robert T. Hastings, Jr., was named Executive Vice President, Strategic Communications, and Chief of Staff for Bell Helicopter in May 2010. In this role, he leads the company’s internal and external communications, marketing communications, branding, corporate giving, and community and public affairs. Robert joined Bell Helicopter from Northrop Grumman where he served as vice president of communications for the Information Systems Sector, a $10B global information systems and technology business serving both military and commercial customers. Previously, he was appointed by President George W. Bush to serve as Assistant Secretary of Defense for Public Affairs. As the senior public affairs official and spokesman for the U.S. Department of Defense (DoD), he was the principal staff advisor to the Secretary of Defense and senior Administration officials for all strategic communications, leading a worldwide public affairs community of some 4,000 military and civilian personnel. Before joining the Defense Department, he served as chief of staff and vice president of communications for BAE Systems, Inc. where he directed strategic communications and public affairs programs for the $15B US-led segment of the global defense company. Robert is a retired U.S. Army officer with more than 30 years combined federal and state military experience. His U.S. Army assignments include command tours in Aviation and Cavalry and operational assignments in Germany, Eastern Europe, Central America, Iraq, and Bosnia. In the Texas State Guard, Robert commanded a Civil Affairs Regiment and served as Chief of Public Affairs and Chief of Staff-Army Component.